Where are chefs finding inspiration for their food? What cooking trends and techniques have been inspiring them recently? Our monthly Winnow Chef's Table series brings you interviews with chefs from all over the world. Today, we speak with Nicholas Shadbolt, Executive Chef at Sofitel Philippine Plaza. Originally from London, Chef Nicholas has been cooking professionally for 34 years. During his career he has gained experiences from various international destinations including China, Australia, Dubai, and Hong Kong. He is now heading the kitchen at one of the Philippines most renowned hotels: Sofitel Philippine Plaza in Manila. He talked to us about his efforts to have a more sustainable operation, his challenges and aspirations. How did you arrive at Sofitel Manila and where were you working before? I was previously the Executive Chef for Sofitel Legend Metropole Hanoi, in Vietnam. I stayed there from 2014 to 2017 when I was appointed as Executive Chef at Sofitel Philippine Plaza Manila. I have been part of their exciting culinary team since April 2017. My mother has always been my inspiration to become a chef. I was always in our family kitchen as a young child, helping her as she baked cakes, breads and cookies. I was a curious child and, so learning how to put together was fascinating for me. And of course, the guarantee of a free treat as a reward always motivated me as well. I trained while working in professional kitchens. Most of my training comes from the experience of working in some of London’s most iconic 5-star hotels with award-winning culinary backgrounds, such as The Dorchester. Culinary is a very dynamic profession. As a professional chef you never stop learning or training. This industry is always evolving, and there are new trends or techniques being introduced all the time. I have not experienced any major challenges. I had already set up and worked with the system in my previous property. And so when I relocated here it was matter of training, daily briefings on the progress and results, brainstorming on what could be improved with discussion on progressive action plans. 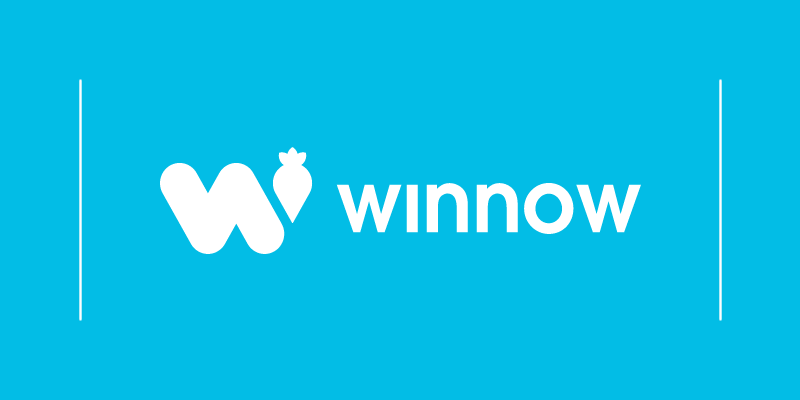 How does Winnow helps you in your daily operations? We reduced food waste in Spiral, our flagship restaurant, mainly by educating and training the team, and by controlling portion sizes. We have made many changes based on the stats from the Winnow reports. Now, we always work on reducing food waste through smart menu planning and frequent replenishing of the live cooking stations according to guest demand. Moreover, what helped was raising awareness within the team of the daily costs involved and how to maximize our available resources. How has Winnow’s technology impacted your operations? Winnow enables enhanced awareness of the daily cost per section and helps us identify where there is notable wastage that impacts costs. The information also enables the team in making both major and minor adjustments in future menu planning. How do you think technology will have an impact on how customers engage with the stories of the food, the chef and the restaurant? I believe that there is much to explore and discover in this area. We have yet to maximize the technology to its potential for the storytelling, chef interactions, animated demonstrations, and so on. I am certain that we will see more of this integration as both educational and entertainment tools. There are many channels at our disposal enabling us to keep up to date with the new culinary trends. AccorHotels is constantly sharing information, systems and innovation with all chefs working with the brand. Also, I am always keeping my eyes on social media initiatives, hospitality and trade websites, and professional channels that can be shared with colleagues for the collective awareness of all ambassadors. To have a more sustainable operation in the future, we are constantly looking at what we can source locally as part of the slow food movement. We also work with suppliers that help ensure that our products come from providers that use responsible and sustainable farming and fishing. Additionally, we have also been progressively pursuing what we can grow ourselves as part of AccorHotel’s Planet 21 commitment geared towards sustainable operations. 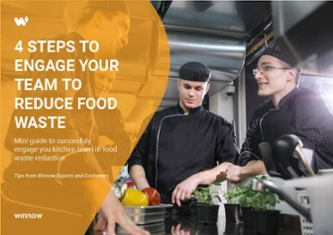 To reduce your food waste is important to keep it simple. Chefs can normally minimize waste by cooking fresh, cooking based on demand and replenish menus as often as possible. Is there are chef you admire most? Who and why? Marco Pierre White will always be an inspiration from my generation. He was a visionary, always way ahead of his time. His passion for food and innovations is a great inspiration for me. What’s your most recent fascination and why (ie. an ingredient, technique)? I’m always thinking about the environment, which is line with AccorHotel’s sustainable commitments. I can say that sustainability is a fascination for me. I’m always looking into what we can do to improve our current property program by talking to local and international suppliers. We also actively explore what we can cultivate ourselves in our 12 hectare property. We incorporate everything we do that is aligned with the Planet 21 initiative. We share this as part of our storytelling – by presenting to our guests the importance of choosing sustainable food and why. It important to share this message constantly and consistently from our team to our guests. I have had the privilege of experiencing great food, from fine dining to street food. Therefore, I just find it impossible to pick out only one meal. I like all foods just depends on the day and location. I enjoy traveling and when I’m exploring I like to eat local. Thailand street food is so good, tasty, affordable and readily available. Eating on the street, watching the local culture go by and soaking up the smells and sounds of Thailand while eating their food. It is simply an amazing experience, and I highly recommend it.